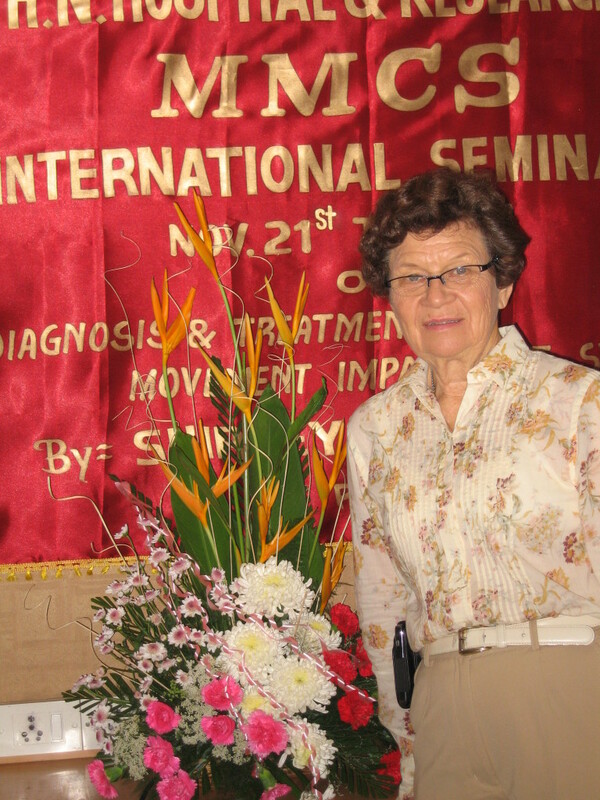 Dr. Shirley Sahrmann is a retired Physical Therapist and Professor emeritis of Physical Therapy, Cell Biology and Physiology, and also of Neurology at Washington University in St. Louis School of Medicine. She received her Bachelors degree in Physical therapy and her Masters and PhD in Neurobiology from Washington University in St. Louis. Shirley is the author of Diagnosis and Treatment of Movement Impairment Syndromes, which is a great resource for clinicians. Shirley has also received many awards and honors during her career. She was named the Catherine Worthingham Fellow of the American Physical Therapy Association and received the Association’s John H.P. Maley Lecture and Mary McMillan Award, the highest honor of the association, Marion Williams Research Award, the Lucy Blair Service Award, the Kendall Practice award, and the Bowling-Erhard Orthopedic Clinical Practice Award from the Orthopaedic Section of the APTA. Dr. Sahrmann has also been honored with the Washington University’s Distinguished Faculty Award, the School of Medicine’s Excellence in Clinical Practice Award, as well as an honorary doctorate degree from the University of Indianapolis. Shirley is with us today to tell us about her journey through life and science. Dr. Sahrmann’s research interests are in development and validation of classification schemes for movement impairment syndromes as well as in exercise based interventions for these syndromes. Her books, Diagnosis and Treatment of Movement Impairment Syndromes and Movement System Impairment Syndromes of the Cervical and Thoracic Spines and the Extremities, describe the syndromes and methods of treatment. She maintained an active clinical practice specializing in patients with musculoskeletal pain syndromes until her retirement in July 2012. Shirley he has served on the APTA Board of Directors and as president of the Missouri Chapter. In addition to her numerous national and international presentations, Dr. Sahrmann has been a keynote speaker at the World Confederation of Physical Therapy, and at the Canadian, Australian, New Zealand and Danish national congresses.